Looking for a Triggre alternative? 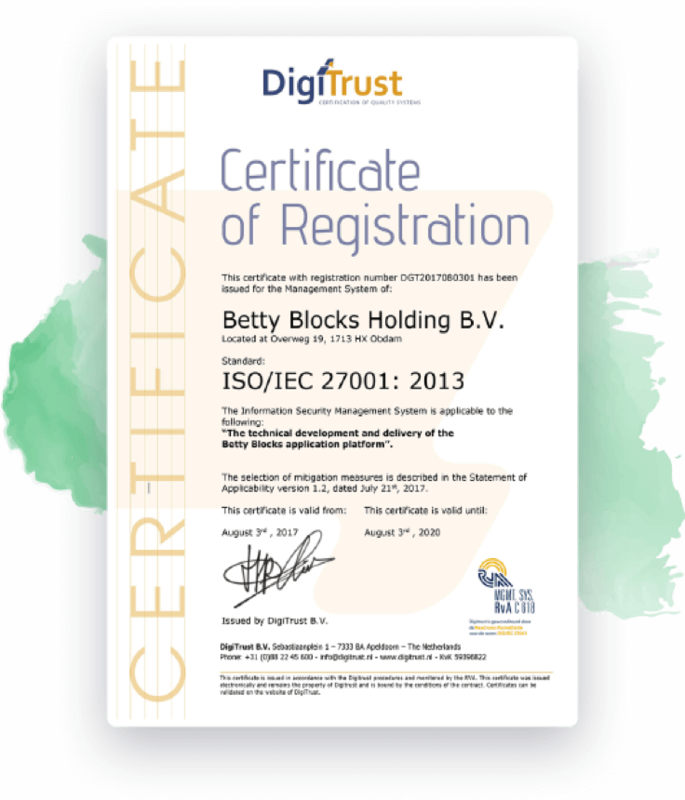 Betty Blocks is a high-quality and better priced alternative for Triggre. As a rapid application development platform, you can develop every (business) application 8-10 times faster than regular coding. By using the visual model builder, you design tailor made software rapidly and intuitively. As a Triggre alternative, the Betty Blocks aPaaS offers a 100% cloud-based and online environment. The entire process of developing, testing, acceptance & production (DTAP-Street), takes place within one environment (e.g. no different servers), thus making the entire cycle optimal. Also, the merging of test environments is done within seconds. Create a trial account and feel the difference.